Medical Alert Advice discusses a variety of ways to help seniors stay safe in their home, including owning a medical alert device, installing grab bars near slippery tile floors and bathtubs, and having a preparedness plan in place in the event of a natural disaster. Now, we’d like to tell you about one very simple thing you can do today to help yourself and your loved ones if you are injured, which is to add ICE your cell phone! ICE is an acronym for “In Case of Emergency.” The concept was originated in 2005 by British paramedic Bob Brotchie after the bombings of the London Underground. He noted that so many of the injured were unable to speak to say who they were, leaving the paramedics and police to rely on the victims’ cell phones for clues. 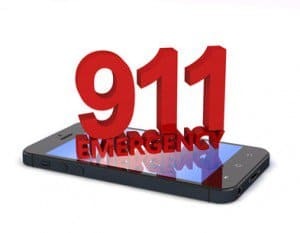 It occurred to him that there should be a uniform manner in which police and paramedics could use cell phones to find an individual’s emergency contacts and potentially save your life. And thus, ICE was born. Adding ICE to your phone is simple. Just scroll to the letter “I” in your phone contact list, and list your emergency ICE contact with the word ICE before their name. For example, “ICE-John Smith.” Then, be sure to enter every phone number (home, mobile phone and work) you have for that individual, as well as their email and physical address. Of course, it is very important to check with anyone you plan to list under ICE first to make sure they are comfortable with being one of your emergency contacts. Next, you will want to provide anyone listed on your phone under ICE with any medical information they may need about you in the event of an emergency such as your medical history. This includes the contact’s name and information of your immediate family members and physicians, a list of your medications, and any known allergies and medical conditions. While you should also have this information in your wallet or purse, it is helpful for others to have backup copies in the event it cannot be immediately located. If you have an Android phone, you can download an app called QuickIce. This ICE app helps Android cell phone users quickly access their ICE information even if the phone is locked. You must follow the prompts to add the app to your Android’s lock screen. For Samsung Galaxy users, you can utilize the Samsung contacts app that comes with your phone. Find ICE emergency contacts and add your ICE entry. They can now be accessed even from a locked phone screen by pressing the emergency call button. Finally, to make it clear that you have ICE emergency contact information in your phone, you can place a sticker on it letting everyone know. Visiting Angels Living Assistance Services provides the graphic for such a sticker free on their website at http://www.visitingangels.com/images/ICELoadedImage.jpg. Alternately, you can purchase multiple stickers for a nominal fee on the official ICE Your Phone website at http://www.icesticker.com/store/.